Light and modern design for easy portability. 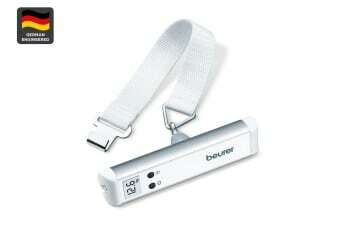 Take out the stress of going over your luggage weight limit with the Beurer Digital Luggage Scale. Ideal for travel, the Beurer Digital Luggage Scale (LS10) is perfect for providing exact luggage weight in a small and handy design. It also includes a strap and torch light function for added convenience.